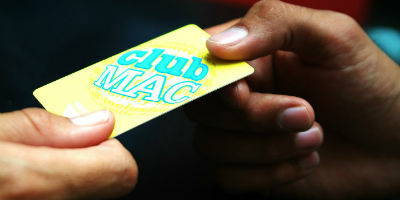 Currency exchange: Prices at Club Mac are always in euros. At reception you will be able to exchange pounds into euros, hire a car to explore the island or book organized excursions. 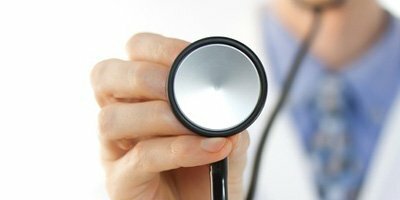 For your own peace of mind, we also have a private doctor on site during business hours and on call 24 hours a day. To cut down on packing, you can hire certain bulky items at Club Mac through an external local provider, such as kettles, microwaves, fridges, wheelchairs, scooters, etc. for a charge plus deposit and for the duration of your stay. Please arrange this through reception when you arrive. 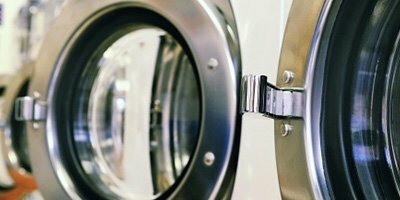 For your own comfort and a small charge, you can also do your holidays clothes washing and drying at the hotel, avoiding all this work back at home! Wi-Fi is available free in the ground floor hall areas of the three buildings. Club Mac offers you the option of high speed Wi-Fi for a very modest price, giving you access to voice over IP, gaming and streaming, ideal for the teenagers in your lives. For a small cost you can also use any of our PCs at reception where you will also be able to print your return boarding cards. If you have forgotten to pack something, visit our shop where you will be able to find all the essentials plus some souvenirs to take home, like our wonderful Macky and Misha soft toys. In the evenings we provide an enhanced shopping experience by the lake with small market stalls set up by local traders providing live portraits, crafts, toys, etc. The largest pool at Club Mac is ideal for the young at heart. Next to it, a smaller pool for children. This pool is located right next to the Marte building, it offers shade from the building at certain hours and a separate low area for the children. Next to it, our fun river pool. At the end of the Jupiter building there are three pools for adults and children. 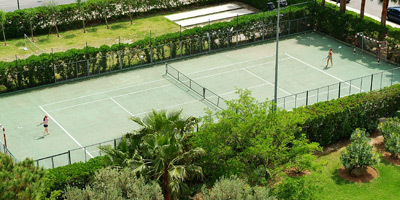 In this area you will also find a large canopy for shading. A splash pool, very safe due to the very low level of water. 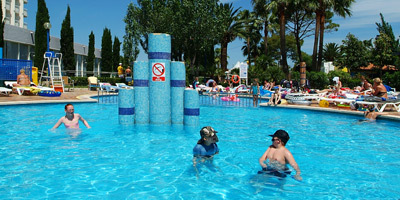 This pool provides sunbeds, a water fountain and is also a non-smoking area. 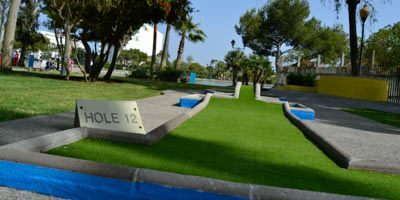 Practice a game of golf with all the family. 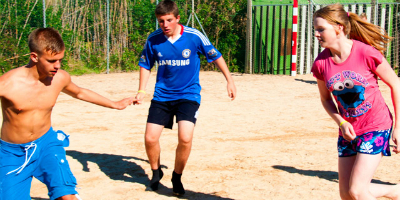 In our sand court you will be able to practice group sports such as volleyball and football. 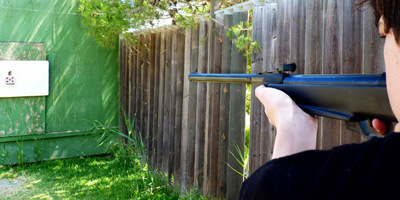 Practice your marksmanship with archery or riffle shooting. Our smaller SATURNO stage offers you tribute bands and other low key entertainment. We offer you a hairdresser opening in the afternoons that will help you look your best during your holidays. Our hairdresser specialises in braids. The hotel offers you a relax area next to the main lake, away from the hussle and bussle, where adults will be able to sunbathe, enjoy a massage or a manicure. 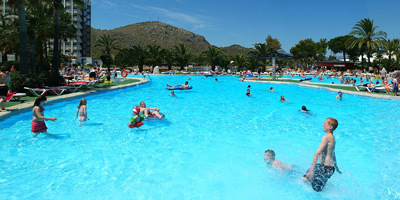 Club Mac is 3 star resort for families located in Port d’Alcudia, on the north coast of Majorca. 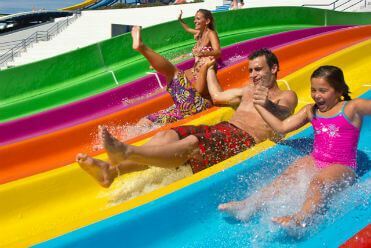 With 8 different pools to choose from, sports facilities, day and nighttime entertainment for all ages and a water park across the road which is included in the price, there is no such thing as a dull day at Club Mac. Club Mac offers you all inclusive food and drink. Discover tastes of the world with our themed buffet dinners. Forget about cooking and washing up! With two natural lakes in which to enjoy various water activities, a fun-filled outdoor kids club with its own playground, two different stages with daily dazzling shows, various sports facilities such as mini golf, sand sports court, running track, tennis court or archery and shooting areas in which to keep active, and shopping opportunities at our Club Mac shop or the local market stalls in the evenings, Club Mac is certainly fun filled for all the family. Holidays at Club Mac are all about making children happy. 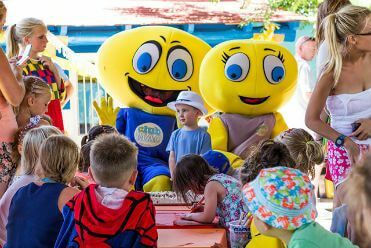 Our mascots Macky and Misha together with a large and happy dedicated team of entertainers will make sure of that. 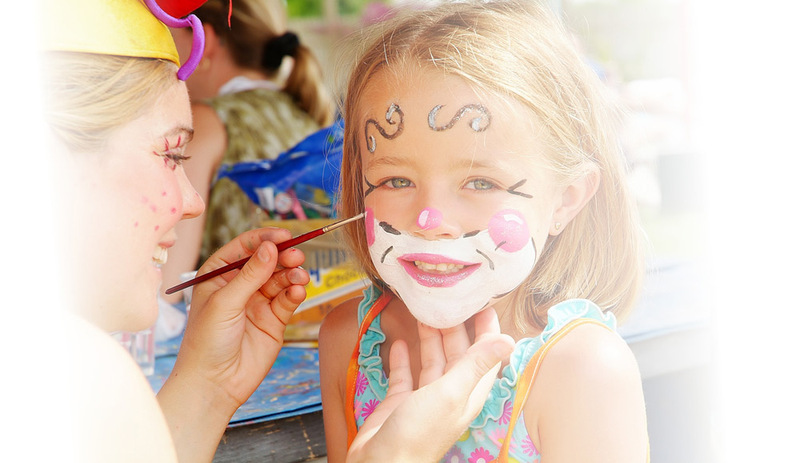 Pirate days, princesses for a day, water games, candy parties or participating in the evening shows, everything is possible at Club Mac. 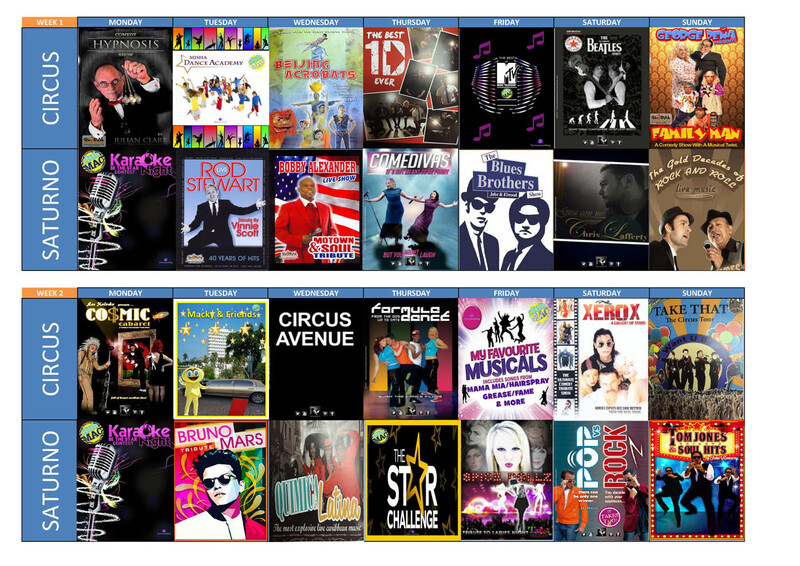 Check out all that we have!